Had any private citizen tried such stonewalling in an investigation, he or she would likely end up in jail. In contrast, his most frequent accusers — the media — have set themselves up as the country's moral paragon. Journalists now see themselves as social justice warriors who are immune from the scrutiny to which they subject others. The Department of Justice and the FBI are supposed to be our preeminent guardians of justice. 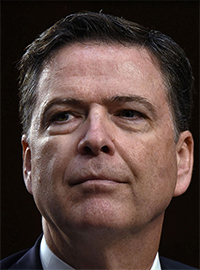 But former director James Comey, former deputy director Andrew McCabe, former general counsel James Baker and several other top FBI officials have either resigned, retired or been fired — and some may soon be facing indictments themselves.